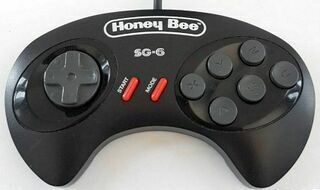 The SG-6 is a third party control pad released in the early 1990s by Honey Bee. It was distributed in the west under the Competition Pro brand as the Professional Control Pad SG-6. The SG-6 is a bog standard six button controller.